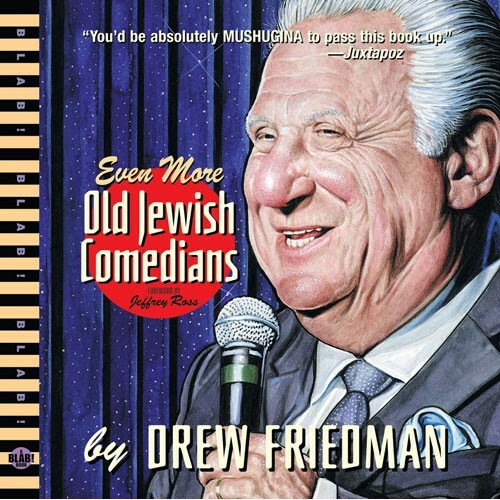 In 2006, cartoonist Drew Friedman, son of author and satirist Bruce Jay Friedman, published the first of what would be a series of three books, Old Jewish Comedians. The books are collections of portraits of famous and forgotten Jewish comics of film and TV in their old age, about which Steven Heller, in the New York Times Book Review, wrote: "A festival of drawing virtuosity and fabulous craggy faces... Friedman might very well be the Vermeer of the Borscht Belt." 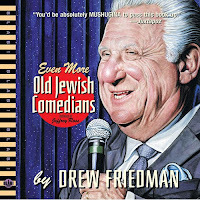 Last Thursday, some of the old comics and many of their fans got together at a book-warming party at the Friars' Club in New York City to celebrate the publication of Friedman's third and newest volume, Even More Old Jewish Comedians. Some of the old-timers who showed up were Stewie Stone, Larry Storch, Bobby Ramsen, and Abe Vigoda. When his turn came at the podium, Storch told a few old jokes and recalled some incidents involving Myron Cohen, Buddy Hackett, Jerry Lewis, Mickey Freeman, and Freddie Roman. Here's a seven minute video showing some highlights of the evening. Enjoy! Gosh, this would have been something I would have loved to enjoy. Awesome. This would of been so great too attend.